Please select the appropriate registration types below. Note that this year there will not be a separate registration category or fee for "Guests". In fact, you don't even have to be a member of MSTA to participate! All attendees/participants (Members, Member of Household, and non-members) must complete the same registration form and pay the same registration fee. The only exception to this are Sustaining and Life members and their spouses, who will still receive a 10% discount on their registration fee. You can register more than one person at a time (Member, Member of Household, or Non-Member). Instructions regarding how to book your hotel room will be provided on your confirmation. You will have a link to register on-line and a phone number if you prefer to call and make your registration that way. The rate is approximately $105 per night (including taxes) for a double queen or a king. That rate includes a free breakfast, and is good from Thursday June 20th through Thursday the 27th. If you do not know your MSTA member number (requested on the next page), we will look it up and add it your registration. If you are a member, we will be checking the MSTA membership database to verify your membership type. As mentioned above, the registration types have changed this year. 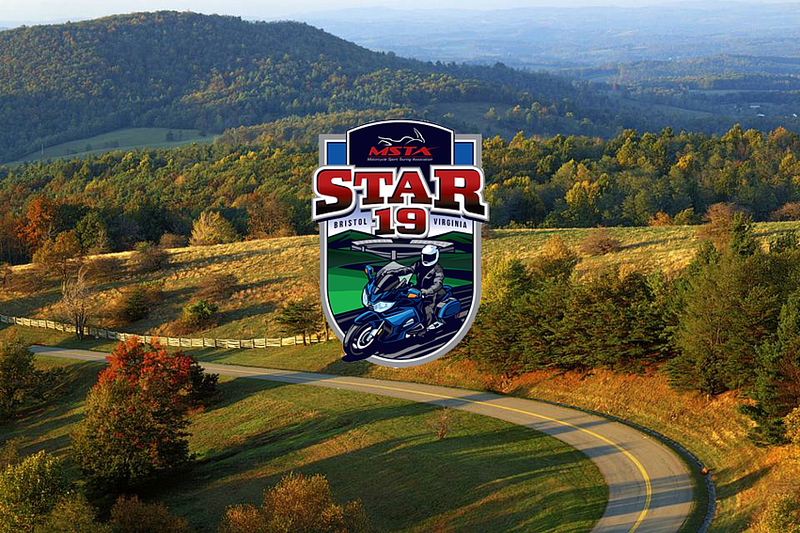 Anyone (a member of the MSTA or non-member) may attend STAR. Member of Household is the same as a Member, so there is no longer a distinction with regard to STAR registration. If the main member is a Life or Sustaining Member, the Member of that Household is also considered a Life or Sustaining member. There is no longer a Guest registration. If your companion is not a member of MSTA, be sure to answer "No" to the question about MSTA membership on their registration. Again, membership is NOT required to register for STAR 2019. This is one of the exciting news items for STAR 2019. This year, the raffle bike will be...(wait for it)...the winner's choice of a 2019 Honda Goldwing Base (cruiser) or Touring model! As in years past, you must be a member in good standing of MSTA to be eligible to win the bike. Note that this year raffle tickets may be purchased in the "Additional Items" section on the next page (along with hats, T-shirts, etc.) if you want to use this option rather than having to go to a separate web page. If you do register and want to purchase additional raffle tickets later (after all, who wouldn't want more chances to win a Goldwing! ), this same link will be in your confirmation. In addition, every MSTA Member will soon be receiving a set of raffle tickets in the mail, all filled out and ready to go. All you will need to do is fill out a check, put it in the enclosed already addressed envelope along with the number of tickets you are purchasing, and mail it back in. What could be easier? Tickets will also still be available for purchase at STAR. Regardless of how you buy your raffle tickets (during registration, online, through the mail, at STAR, whatever), they are available at a rate of $8.00 per ticket. If you do not receive a cancellation confirmation you are not cancelled! If you have made a hotel reservation and you cancel STAR, you must cancel your own hotel reservation by calling the hotel.